John Buchan, 1st Baron Tweedsmuir, GCMG , GCVO , CH , PC ( /ˈbʌxən/ ; 26 August 1875 – 11 February 1940) was a Scottish novelist, historian, and Unionist politician who served as Governor General of Canada, the 15th since Canadian Confederation. The Unionist Party was the main centre-right political party in Scotland between 1912 and 1965. After a brief legal career, Buchan simultaneously began his writing career and his political and diplomatic careers, serving as a private secretary to the administrator of various colonies in southern Africa. He eventually wrote propaganda for the British war effort during World War I. He was elected Member of Parliament for the Combined Scottish Universities in 1927, but he spent most of his time on his writing career, notably writing The Thirty-Nine Steps and other adventure fiction. 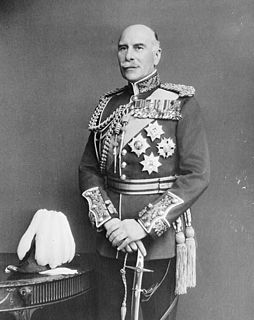 In 1935, King George V, on the advice of Prime Minister R. B. Bennett, appointed Buchan to replace the Earl of Bessborough as Governor General of Canada, for which purpose Buchan was raised to the peerage. He occupied the post until his death in 1940. The Combined Scottish Universities was a three-member university constituency of the House of Commons of the Parliament of the United Kingdom from 1918 until 1950. It was created by merging the single-member constituencies of Glasgow and Aberdeen Universities and Edinburgh and St Andrews Universities. The Thirty-Nine Steps is an adventure novel by the Scottish author John Buchan. It first appeared as a serial in Blackwood's Magazine in August and September 1915 before being published in book form in October that year by William Blackwood and Sons, Edinburgh. It is the first of five novels featuring Richard Hannay, an all-action hero with a stiff upper lip and a miraculous knack for getting himself out of sticky situations. 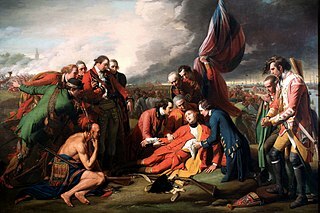 Buchan was enthusiastic about literacy and the development of Canadian culture, and he received a state funeral in Canada before his ashes were returned to the United Kingdom. A state funeral is a public funeral ceremony, observing the strict rules of protocol, held to honour people of national significance. State funerals usually include much pomp and ceremony as well as religious overtones and distinctive elements of military tradition. Generally, state funerals are held in order to involve the general public in a national day of mourning after the family of the deceased gives consent. A state funeral will often generate mass publicity from both national and global media outlets. Buchan was born in Perth, Scotland, the first child of John Buchan—a Free Church of Scotland minister—and Helen Jane Buchan. He was brought up in Kirkcaldy, Fife, and spent many summer holidays with his maternal grandparents in Broughton in the Scottish Borders. There he developed a love for walking and for the local scenery and wildlife, both of which are often featured in his novels. The protagonist in several of his books is Sir Edward Leithen, whose name is borrowed from the Leithen Water, a tributary of the River Tweed. Perth is a city in central Scotland, on the banks of the River Tay. It is the administrative centre of Perth and Kinross council area and the historic county town of Perthshire. It has a population of about 47,180. Perth has been known as The Fair City since the publication of the story Fair Maid of Perth by Scottish writer Sir Walter Scott in 1828. During the later medieval period the city was also called St John's Toun or Saint Johnstoun by its inhabitants in reference to the main church dedicated to St John the Baptist. This name is preserved by the city's football teams, St Johnstone F.C. The Free Church of Scotland was a Scottish denomination which was formed in 1843 by a large withdrawal from the established Church of Scotland in a schism or division known as the Disruption of 1843. In 1900 the vast majority of the Free Church of Scotland joined with the United Presbyterian Church of Scotland to form the United Free Church of Scotland. The House of Lords judged that the minority continuing after the 1900 union were entitled to all the assets. While the denomination clearly had a starting date, in their own eyes their leaders had a legitimate claim to an unbroken succession of leaders going all the way back to the Apostles. Kirkcaldy is a town and former royal burgh in Fife, on the east coast of Scotland. It is about 11.6 miles (19 km) north of Edinburgh and 27.6 miles (44 km) south-southwest of Dundee. The town had a recorded population of 49,460 in 2011, making it Fife's second-largest settlement and the 12th most populous settlement in Scotland. Hutchesons' Grammar School is a co-educational independent school in the southside of Glasgow, Scotland. It was founded as Hutchesons Boys' Grammar School by the brothers George Hutcheson and Thomas Hutcheson in 1641 and was opened originally to educate orphans, starting with "twelve male children, indigent orphans". Classics or classical studies is the study of classical antiquity. It encompasses the study of the Greco-Roman world, particularly of its languages and literature but also of Greco-Roman philosophy, history, and archaeology. 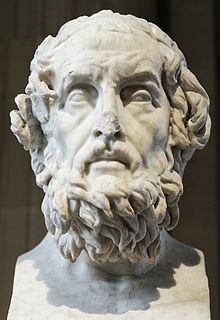 Traditionally in the West, the study of the Greek and Roman classics was considered one of the cornerstones of the humanities and a fundamental element of a rounded education. The study of classics has therefore traditionally been a cornerstone of a typical elite education. Robert Sholto Johnstone Douglas, known as Sholto Douglas, or more formally as Sholto Johnstone Douglas, was a Scottish figurative artist, a painter chiefly of portraits and landscapes. In 1935 Buchan's literary work was adapted for the cinema with the completion of Alfred Hitchcock's The 39 Steps , starring Robert Donat as Richard Hannay, though with Buchan's story much altered. This came in the same year that Buchan was honoured with appointment to the Order of St. Michael and St. George on 23 May,  as well as being elevated to the peerage, when he was entitled by King George V as Baron Tweedsmuir, of Elsfield in the County of Oxford on 1 June. This had been done in preparation for Buchan's appointment as Canada's governor general; when consulted by Canadian prime minister R. B. Bennett about the appointment, the Leader of His Majesty's Loyal Opposition, William Lyon Mackenzie King, recommended that the King allow Buchan to serve as viceroy as a commoner,  but George V insisted that he be represented by a peer. On 27 March 1935, Sir George Halsey Perley announced in the Canadian Parliament (in place of the ailing Bennett, who had recommended Buchan for the governor generalship) that the King "has been graciously pleased to approve the appointment of Mr. John Buchan" as the viceregal representative. The King approved the appointment,  made by commission under the royal sign-manual and signet. Buchan then departed for Canada and was sworn in as the country's governor general in a ceremony on 2 November 1935 in the salon rouge of the parliament buildings of Quebec. By the time Buchan arrived in Canada, William Lyon Mackenzie King had been sworn in as Prime Minister after the Liberal Party won the federal election held the previous month. Buchan was the first viceroy of Canada appointed since the enactment of the Statute of Westminster on 11 December 1931, and was thus the first to have been decided on solely by the monarch of Canada in his Canadian council. Another factor behind the tour was public relations: the presence of the royal couple in Canada and the United States was calculated to shore up sympathy for Britain in anticipation of hostilities with Nazi Germany. Buchan's experiences during the First World War made him averse to conflict, and he tried to help prevent another war in coordination with Mackenzie King and U.S. President Franklin D. Roosevelt. Still, Buchan authorised Canada's declaration of war against Germany in September, shortly after the British declaration of war and with the consent of King George, and thereafter issued orders of deployment for Canadian soldiers, sailors, and airmen as the titular commander-in-chief of the Canadian armed forces. After lying in state in the Senate chamber on Parliament Hill, Buchan was given a state funeral at St. Andrew's Presbyterian Church in Ottawa. His ashes were returned to the UK aboard the cruiser HMS Orion for final burial at Elsfield, his estate in Oxfordshire. In his last years, Buchan wrote his autobiography Memory Hold-the-Door , as well as works on the history of Canada. He and Lady Tweedsmuir established the first proper library at Rideau Hall, and he founded the Governor General's Literary Awards which remain Canada's premier award for literature. His grandchildren James and Perdita Buchan also became writers. Buchan's 100 works include nearly 30 novels, seven collections of short stories, and biographies of Sir Walter Scott, Caesar Augustus, and Oliver Cromwell. He was awarded the 1928 James Tait Black Memorial Prize for his biography of the Marquess of Montrose,  but the most famous of his books were the spy thrillers, and it is for these that he is now best remembered. The "last Buchan" (as Graham Greene entitled his appreciative review) was the 1941 novel Sick Heart River (American title: Mountain Meadow), in which a dying protagonist confronts the questions of the meaning of life in the Canadian wilderness. Charles Vincent Massey was a Canadian lawyer and diplomat who served as the Governor General of Canada, the 18th since Confederation and the first one born in Canada. Alexander Cambridge, 1st Earl of Athlone, was a British Army commander and major-general who served as the fourth Governor-General of the Union of South Africa and as Governor General of Canada, the 16th since the Canadian Confederation. Events from the year 1940 in Canada. Baron Tweedsmuir, of Elsfield in the County of Oxford, is a title in the Peerage of the United Kingdom. It was created in 1935 for the author and Unionist politician John Buchan. He served as Governor-General of Canada from 1935 to his death in 1940. His eldest son, the second Baron, was the husband of the Conservative politician Lady Tweedsmuir. As of 2010 the title is held by the second Baron's nephew, the fourth Baron, who succeeded his father in 2008. Milner's Kindergarten is an informal reference to a group of Britons who served in the South African Civil Service under High Commissioner Alfred, Lord Milner, between the Second Boer War and the founding of the Union of South Africa. They were in favour of the South African union and, ultimately, an imperial federation of the British Empire itself. On Milner's retirement, most continued in the service under William Waldegrave Palmer, 2nd Earl of Selborne, who was Milner's successor. Many of these men themselves attained public prominence after their South African experience, hence the 'kindergarten' tag. The group would often meet at Stonehouse, Sir Herbert Baker's private residence in Parktown. James Alexander Douglas-Hamilton, Baron Selkirk of Douglas,, briefly The 11th Earl of Selkirk and previously styled Lord James Douglas-Hamilton as a younger son of the 14th Duke of Hamilton and Brandon, is a Scottish Conservative politician who served as Member of Parliament for Edinburgh West and then as Member of the Scottish Parliament for the Lothians. Since 1997 he has been a member of the House of Lords as a life peer. Leonard Walter Brockington was a Canadian lawyer, civil servant, public figure, and the first head of the Canadian Broadcasting Corporation (CBC). Vere Brabazon Ponsonby, 9th Earl of Bessborough was an Anglo-Irish businessman and politician who served as Governor General of Canada, the 14th since Canadian Confederation. Tweedsmuir South Provincial Park is a provincial park located in the central west of British Columbia, Canada. Formerly part of Tweedsmuir Provincial Park which was originally 981,000 hectares in size. It was formed from the southern portion of that park, the northern portion being re-designated Tweedsmuir North Provincial Park and Protected Area in order to allow resource extraction in the park. Lord Tweedsmuir Secondary is a public high school in the Vancouver suburb of Surrey, British Columbia, Canada and is part of School District 36 Surrey. In September 1993, staff and students from Cloverdale Junior Secondary and Lord Tweedsmuir Senior Secondary joined together to form Lord Tweedsmuir Secondary, and moved into the new building. Lord Tweedsmuir's name has been attached to a school in the Cloverdale area since 1940 when Canada's Governor General, John Buchan, Lord Tweedsmuir of Elsfield died. Susan Charlotte Buchan, Baroness Tweedsmuir was a British writer and the wife of author John Buchan. Between 1935 and 1940 she was viceregal consort of Canada while her husband was the governor general. She was also the author of several novels, children's books, and biographies, some of which were published under the name Susan Tweedsmuir. Memory Hold-the-Door is the 1940 autobiography of John Buchan. It was published in the United States under the title Pilgrim's Way. William James de L'Aigle Buchan, 3rd Baron Tweedsmuir, also known as "William Tweedsmuir", was an English peer and author of novels, short stories, memoirs and verse. He was the second son of the writer and Governor General of Canada, John Buchan. John Norman Stuart Buchan, 2nd Baron Tweedsmuir CBE, CD, FRSE, FRSA, commonly called Johnnie Buchan, was a Scottish peer and the son of the novelist John Buchan, 1st Baron Tweedsmuir. He was a colonial administrator and naturalist, but also a true-life adventurer. He has been described as a "brilliant fisherman and naturalist, a gallant soldier and fine writer of English, an explorer, colonial administrator and man of business." The 1939 royal tour of Canada by King George VI and Queen Elizabeth was undertaken in the build-up to World War II as a way to emphasise the independence of the Dominion from Britain. The visit lasted from May 17 to June 15, covering every Canadian province, the Dominion of Newfoundland, and a few days in the United States. There had been previous royal tours of Canada, but this was unprecedented in its scope. The tour was an enormous event, attracting huge crowds at each new city. Events from the year 1940 in Scotland. 1 2 "Queen's University Archives > Exhibits > John Buchan > Oxford, 1895–1899: Scholar Gypsy". Queen's University. Retrieved 30 March 2009. 1 2 Hillmer, Norman. "Biography > Governors General of Canada > Buchan, John, 1st Baron Tweedsmuir". In Marsh, James H. The Canadian Encyclopedia. Toronto: Historica Foundation of Canada. Archived from the original on 3 July 2007. Retrieved 31 March 2009. ↑ Lee, Sidney, ed. (1950). The Dictionary of National Biography. New York: Oxford University Press. p. 113. ↑ "Queen's University Archives > Exhibits > John Buchan > Home and Family". Queen's University. Retrieved 30 March 2009. 1 2 3 4 5 6 Office of the Governor General of Canada. "Governor General > Former Governors General > Lord Tweedsmuir of Elsfield". Queen's Printer for Canada. Retrieved 14 April 2010. ↑ "John Buchan Society > The Man". The Buchan Society. Retrieved 27 March 2009. ↑ Parry, J. P. (2002). "From the Thirty-Nine Articles to the Thirty-Nine Steps: reflections on the thought of John Buchan". In Bentley, Michael. Public and Private Doctrine: Essays in British History presented to Maurice Cowling. Cambridge: Cambridge University Press. p. 226. ↑ Charteris, John (1931) At G.H.Q., Cassell. ↑ "Queen's University Archives > Exhibits > John Buchan > World War 1: The Department of Information". Queen's University. Archived from the original on 5 December 2008. Retrieved 30 March 2009. ↑ Sanders, M. L. (1975). Culbert, David, ed. 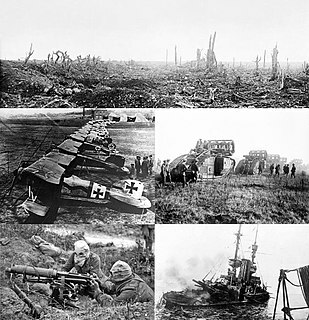 "Wellington House and British Propaganda During the First World War". The Historical Journal (18). London: Carfax Publishing. pp. 119–146. ISSN 0143-9685. ↑ "Debate on the Address". Parliamentary Debates (Hansard) . House of Commons. 24 November 1932. col. 261. ↑ "Debate on the Address". Parliamentary Debates (Hansard) . House of Commons. 24 November 1932. col. 267. ↑ Christopher Hitchens (March 2004). "Between Kipling and Fleming stands John Buchan, the father of the modern spy thriller". The Atlanic. Retrieved 13 August 2014. ↑ Defries, Harry (2001). Conservative Party Attitudes to Jews, 1900–1950. London: Routledge. p. 148. ISBN 0-7146-5221-0. ↑ Anthony Storr (1997). Feet of Clay: A Study of Gurus. HarperCollins. p. 168. ↑ Roger Kimball. "Catching up with John Buchan". The Fortnightly Review. Retrieved 13 August 2014. ↑ "No. 33785". The London Gazette . 29 December 1931. p. 12. ↑ "No. 34164". The London Gazette . 28 May 1935. p. 3443. ↑ "No. 34167". The London Gazette . 4 June 1935. p. 3620. ↑ Reynolds, Louise (2005). Mackenzie King: Friends & Lovers. Victoria: Trafford Publishing. p. 124. ISBN 978-1-4120-5985-5. ↑ House of Commons (Canada) Debates, March 27, 1935, page 2144. ↑ House of Commons (Canada) Debates, March 27, 1935, page 2144. Cited with other details in Galbraith, J. William, "John Buchan: Model Governor General", Dundurn, Toronto, 2013. p.19. ↑ Smith, Janet Adam (1979). John Buchan and his world. Thames & Hudson. p. 89. ISBN 0-500-13067-1. ↑ The Champlain Society. "Former Officer's of The Champlain Society (1905–2012)". Archived from the original on 27 October 2014. Retrieved 19 October 2014. ↑ The first governor-general to travel to the Canadian Arctic was Lord Byng (GG 1921-1926) in 1925. Cited in Galbraith, William, "The Literary Governor-General" in "The Literary Review of Canada", October 1996, page 19. ↑ Smith, Janet Adam (1965). John Buchan: a Biography. Boston: Little Brown and Company. p. 423. ↑ "Royal Visit". Time. New York: Time Inc. IXX (17). 21 October 1957. ISSN 0040-781X . Retrieved 29 March 2009. ↑ Saunders, Doug (27 June 2009). "Canada's mistaken identity". The Globe and Mail. Retrieved 28 June 2009. ↑ Hubbard, R.H. (1977). Rideau Hall. Montreal and London: McGill-Queen's University Press. p. 187. ISBN 978-0-7735-0310-6. 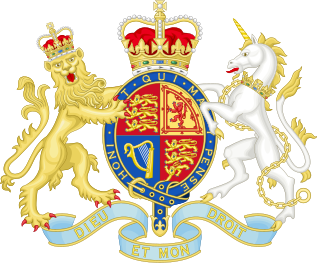 ↑ Tony O'Donohue v. Her Majesty the Queen in Right of Canada and Her Majesty the Queen in Right of the United Kingdom , 01-CV-217147CM , s. 34(Ontario Superior Court of Justice26 June 2006). ↑ Library and Archives Canada (2007). "The Diaries of William Lyon Mackenzie King". Queen's Printer for Canada. p. 562. Archived from the original on 12 June 2013. Retrieved 14 August 2012. 1 2 3 4 Galbraith, William (1989). "Fiftieth Anniversary of the 1939 Royal Visit". Canadian Parliamentary Review. Ottawa: Commonwealth Parliamentary Association. 12 (3). Retrieved 29 March 2009. ↑ Montrose – A History was a scholarly revision of The Marquis of Montrose, published in 1913. ↑ Ministry of the Environment. "BC Parks > Find a Park > Tweedsmuir South Provincial Park > History". Queen's Printer for British Columbia. Retrieved 27 May 2009. 1 2 3 4 5 "Material relating to John Buchan, first Lord Tweedsmuir (1875–1940)" (PDF). National Library of Scotland. ACC 12329. Retrieved 29 March 2009. 1 2 Honorary Degree Recipients 1850 – 2008 (PDF). Toronto: University of Toronto. 30 June 2008. p. 8. ↑ "Canadian Mountain Encyclopedia > Tweedsmuir Peak". Mountain Equipment Co-op. Retrieved 27 May 2009. ↑ "Find a Walk > The John Buchan Way (Peebles to Broughton)". Walking Scotland. Retrieved 26 March 2009. ↑ "John Buchan Centre". John Buchan Society. Retrieved 26 March 2009. Wikimedia Commons has media related to John Buchan .